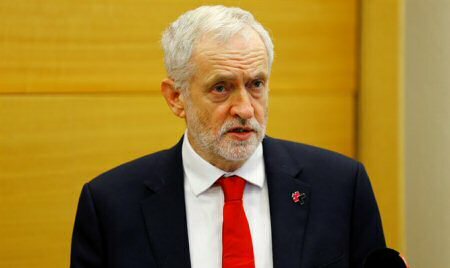 Head of British Labour Jeremy Corbyn has said that Britain should consider halting the sale of arms to Israel, after nine more Palestinians lost their lives on the Gaza border. In a message read at a demonstration outside Downing Street yesterday, Corbyn condemned the violence as an “outrage”, and attacked Western silence over the deaths. A journalist was reported among the dead, on Friday, as Israeli troops opened fire during the second round of mass protests in eight days. Hundreds more were injured. Protesters in Gaza have taken to the streets twice for the “March of Return” demonstrations, over Palestinians’ demand for a right of return to land lost to Israeli occupation in 1948. 31 Palestinians were killed and about 3,000 were wounded as Israeli occupation forces opened live fire against protesters.